The TLS series cable switches are dual point switches with built in hysteresis to provide high and low level control that won’t wear out your pumps with frequent on/off cycles. With switch action at a high and a low level, the TLS provides level control that won't wear out your pumps with frequent on/off cycles. The 28° switching differential and adjustable cable weight of the TLS provide customizable High and Low level settings. 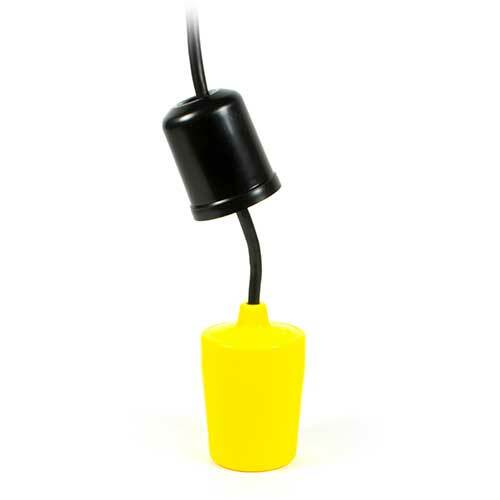 Polypropylene housing, PVC jacketed cable, and up to 60 ft of cable allow the TLS to go a lot of places other low-cost float switches can't. Additional model configurations are available on the online store.